Join us at the First Friday Tea April 5, 2019 from 1:00 to 3:00 pm at the South Grafton Community House at 25 Main St in South Grafton to hear author Amy Belding Brown tell the story of Sarah Sartell of Grafton. Sarah Sartell Prentice was quite a character. According to F.W. Pierce’s History of Grafton, when her future husband Solomon Prentice “courted” her, they sat on the trunk of a tree in the woods, and he proposed to her in the language of Naomi to Ruth, and she accepted him with Ruth’s reply. Never a dull moment in Sarah’s life. The Historical Society holds a piece of her wedding dress as well, woven in the late 1600’s, one of the oldest artifacts at the museum. 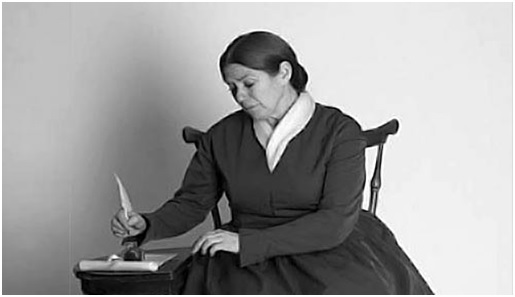 The author of the presentation, Amy Belding Brown, lived in Grafton from 1994 to 2011, and wrote her first historical novel, Mr. Emerson’s Wife, there as well as doing the research and early drafts for her 2014 novel, Flight of the Sparrow. 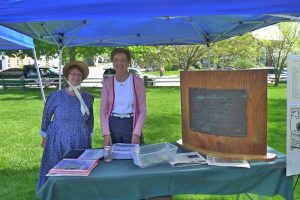 She became interested in the story of Sarah Sartell Prentice while doing work with the historical records of the Grafton Congregational Church. 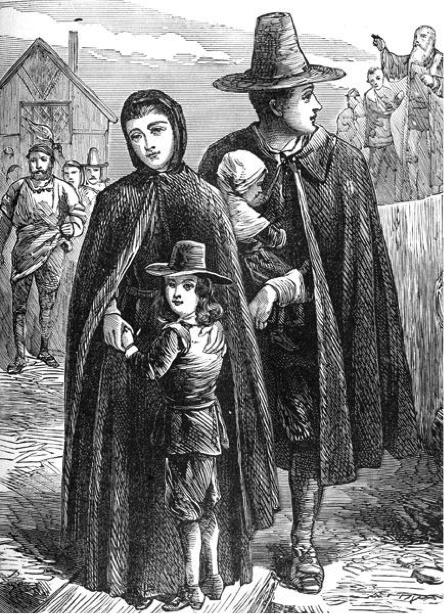 Sarah lived at a time of great religious ferment and was an important figure in the Separate Congregational Movement in Massachusetts at the time of the Great Awakening. Hers is the remarkable story of an independent woman who defied her religious traditions and lived a radical life that scandalized her neighbors. Irish breakfast tea, pastries, fruit, cheese, and gluten free items will be provided, along with fancy teas served in beautiful antique porcelain teacups – it’s a tea after all! $5.00 and RSVP: make a reservation by calling 508-839-0000 or email graftonmahistory@gmail.com. Brought to you by the Grafton Historical Society. Saturday, August 18th the society invites you to visit from 12 – 4 pm at our new museum location, 71 Main Street, South Grafton for our Grand Opening. As well as viewing our great collection of artifacts there will be plenty to do. Mr. Ken Ethier will be out on the front lawn with a vast array of vintage tools. 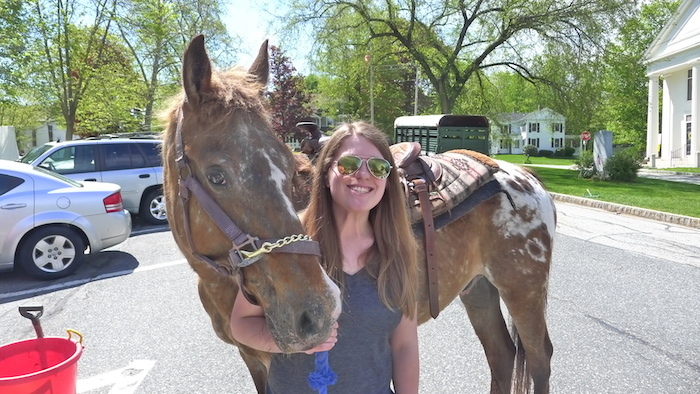 Just a short walk away, at the Mill Villages Park you’ll find Antique cars, vintage State Police vehicles, a story walk for the children, a scavenger hunt for families and adults along with Mrs. Joanne Beller making her wonderful Nantucket Baskets. The society will have a table of interesting items as well as “Images of Grafton” books and our bandstand ornaments. Stop by and join in the fun. The Grafton Historical Society would like to invite you to be part of our Annual Meeting on Friday, April 27, 2018. We will gather for a cash bar and hors d’oeuvres at 5:30 at the Post Office Pub, 1 Ray Street, North Grafton. A buffet of Bourbon Glazed Beef Tips with Caramelized Onions, Holiday Stuffed Chicken, Assorted Vegetables, and Roasted Red Bliss Potatoes will be served. An assorted Dessert Platter along with coffee and tea will follow dinner. Price per person is $37.50. Gluten free options are available. David L. Therrien for his colossal achievement at the South Grafton Public Library where he demo-ed, dried out, re-designed, re-floored, repaired, and led dozens of volunteers plus movers through the logistics of prepping, painting, and finally safely moving Grafton’s precious historical artifacts from the town house to the new museum. Non-stop, for months on end. Good thing he’s still young! … and a special award as well for the best crew ever of volunteers who made the move happen: Dave Therrien, Don Clark, Rob Aberg, Scott Rossiter, Reid Blute, Kevin Powers, Dan Jones, Bernie Gardzina, Larry Berg, Barry Smith, Rob Fraser, Corinne Tortai, Evelyn Guillette, Pam Hollander, Julie Delong, Megan Webber, Rita Whiting, and two men from the American Legion, Stephen Gosselin, and Seth Mansur (hopefully not missing any!). Thanks to all of these wonderful folks, our museum will once again be a proud source of Grafton’s history. Then at 8:00 pm our guest speaker, the much-loved local legend Ranger Chuck Arning will present “Development of Women’s Right to Vote”. For 25 years Ranger Chuck served with the Blackstone River Valley National Historic Park. During his career as National Park Service Ranger, he researched and brought to life many stories of the Blackstone Valley. Ranger Arning is one of the best storytellers around. You won’t be disappointed. For information on attending the annual meeting please call 508-839- 0000 or send us an email at graftonmahistory@gmail.com. Cookies, punch, and coffee are served. 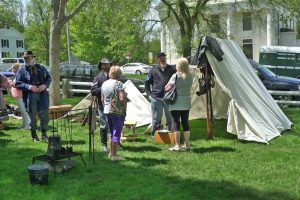 Find out more about your town’s history, and see and touch real artifacts, textiles, shoes, and other items from Grafton’s past. Examine the thousands of vintage photographs taken in Grafton. If you’re interested, you can also look into helping out with research and other society activities aimed at preserving Grafton’s past. On Grafton Common, Saturday June 17th, 2017, 9:00 a.m. to 3:00 p.m. (Rain or Shine**) — a full day of antiques, music, food, and much more! 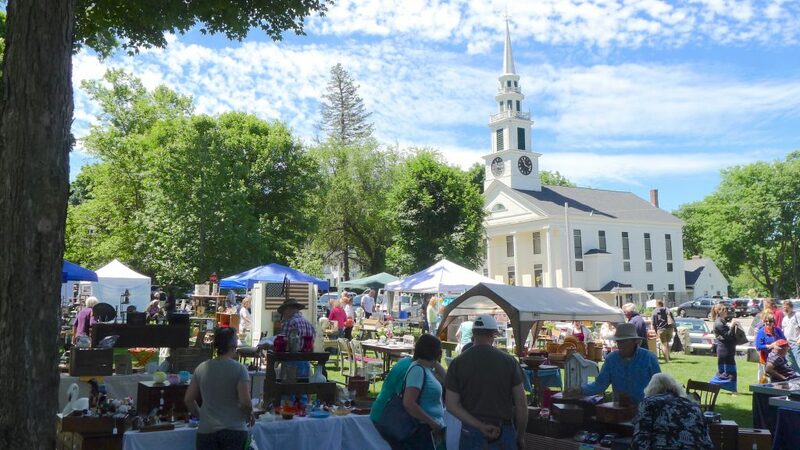 The Grafton Historical Society announces the 50th annual Antiques and Arts Fair, to be held Saturday, June 17th, from 9 a.m. to 3 p.m., on Grafton Common. There will be dozens of antiques and collectibles booths, music, food concessions, and artisans demonstrating their crafts, among numerous other attractions. 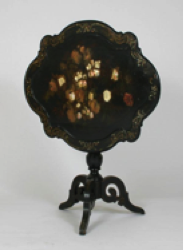 In addition to the many vendors displaying their antiques and wares, there will be an appraisal table where, for a small fee, visitors can learn the value of their antiques and family heirlooms. Artisans also will be on hand providing demonstrations on basket making and other traditional crafts. As a backdrop to the festivities, Kelly Clark and his band will entertain the crowd with live music on the bandstand. Admission is $5 for adults. Children 12 and under are free. Look for discount coupons in local businesses and The Grafton News. 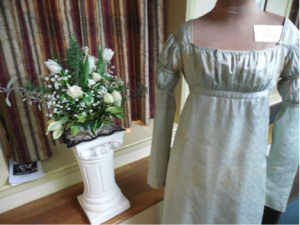 For more information, call 508-839-0000 or drop us an email at graftonmahistory@gmail.com. ** RAIN DATE: in case of rain, the fair will be held at the Millbury Street Elementary School, 105 Millbury St, Grafton, MA. 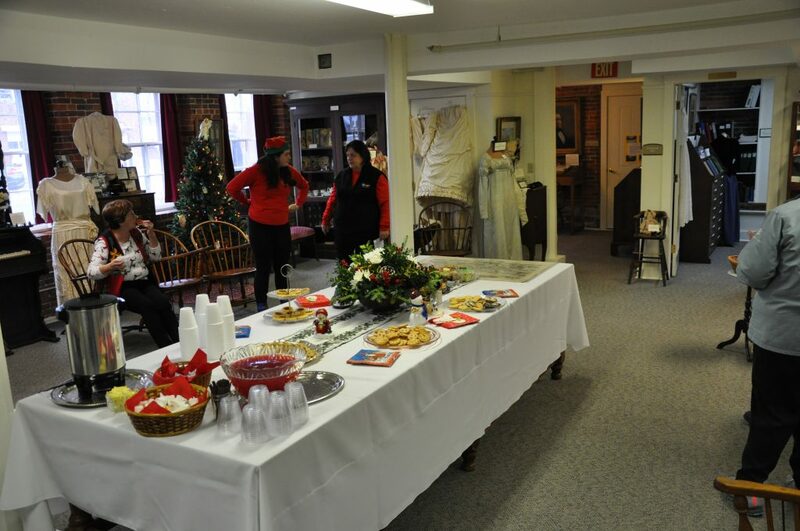 Additionally, the Historical Society Museum will be open from 10:00 am to 1:00 pm. 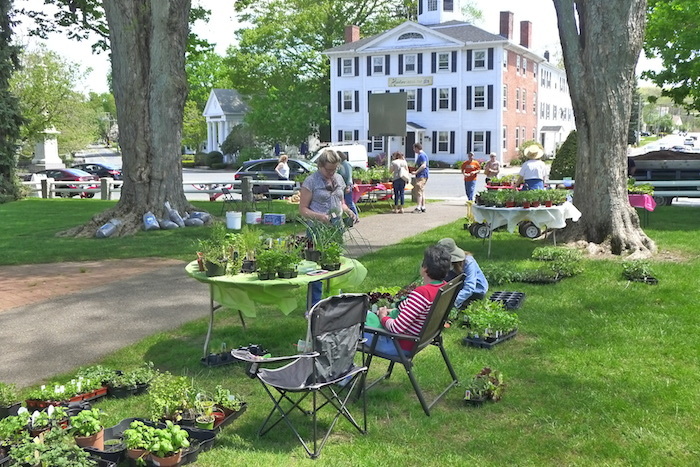 Each year, visitors come to enjoy the displays, live music, pony rides, vendors, and plant selections under the Grafton Common’s spring canopy. Join the fun! On Thursday April 13, 2017 at 7:00 pm, Rob Vella will present his interpretation of Nathaniel Hawthrone’s “The Haunted Mind” at the South Grafton Community House, 25 Main St., South Grafton, MA. a $7.00 donation is requested. Refreshments will be served. Sponsored by the Grafton Historical Society and The Grafton Public Library. Velella is an independent scholar and playwright specializing in American literature of the published articles and presented academic papers on figures such as Margaret Fuller, Oliver Wendell Holmes, and Walt Whitman. Additionally, he has lectured at various historical sites, libraries, and colleges from Pennsylvania to Maine on the topic of American literature. 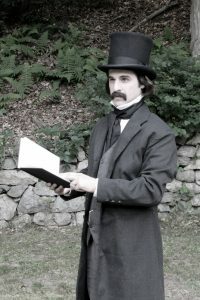 He also performs dramatic readings in character for several literary figures, including the young Henry Wadsworth Longfellow, Edgar Allan Poe, and Hawthorne. UPDATE: snowstorm in February caused rescheduling of this event – note new date! Come see Walter Buckingham Sunday April 2, 2017 at 2:00 pm at the South Grafton Community House. 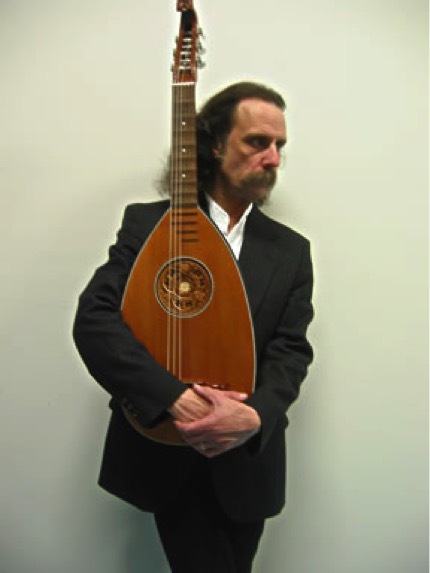 As a Staff Musician in Old Sturbridge Village, Sturbridge, MA, Walter is able to combine his historical troubadour/bard and story-teller role with an education program that combines geography, history, and social studies. Details and directions: South Grafton Community House (click for map), 25 Main St., South Grafton, MA. $7 donation requested. Refreshments will be served. Come see beautiful floral interpretations of Grafton Artifacts from the collection of The Grafton Historical Society by the Grafton Garden Club & Historical Society members. 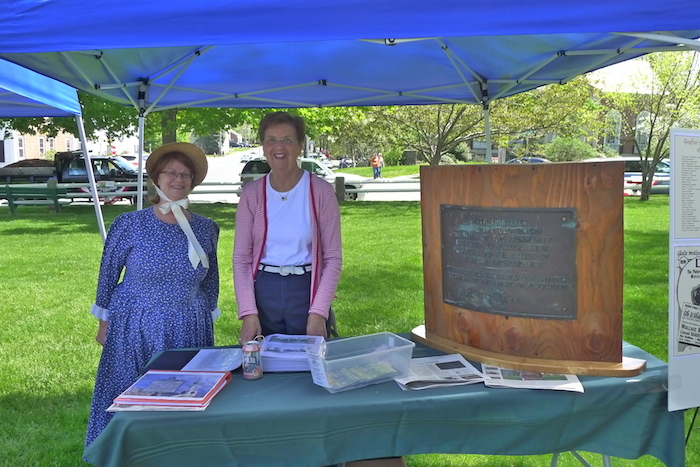 The event will be held at the Grafton Historical Society Museum in the old Town Hall at 1 Grafton Common, Grafton, MA. Membership in either organization allows attendance at the GALA PREVIEW, Saturday Sept. 17, 2016 from 7:00 pm to 9:00 pm. This event is sponsored by Grafton Liquors.